Place scallops in a bowl. Pour sauce over scallops and let stand for 30 minutes. 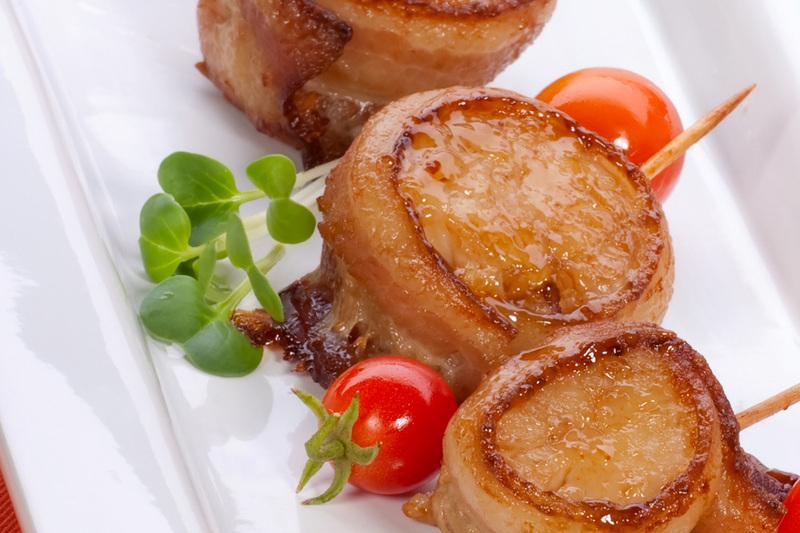 Wrap each scallop in a bacon slice and fasten with a toothpick. Place on a well-greased grill, about 10cm (4 inches) from the hot coals. Baste frequently, cooking on each side for 5-6 minutes or until bacon is crisp. Note: If your bacon is relatively fat, pre-cook it slightly before wrapping it around the scallops.